The majority of FDM 3D printed parts are not printed solid. Printing solid parts requires high amounts of material and long print time resulting in high costs. To optimise the printing process most parts are printed with solid shells and filled with infill. Shells and infill play an important role on the quality, appearance and function of FDM printed parts. This article will discuss the difference between shells and infill and how shells and infill can be employed to optimize a design. Shells - The walls of the print that are exposed to the outside of the model. Bottom layers (a type of shell) - The part of the print that is exposed to the outside of the model, facing the build plate. Top layers (a type of shell) - The parts of the print that is exposed to the outside of the model, facing upwards, towards the nozzle. Typically this surface will have the best surface finish. Strength can be added by increasing shells thickness. This allows for a slightly more robust print without having to increase the amount of material used for infill. Most slicer programs allow shell thickness to be adjusted even allowing areas of high stress to be customized with a high shell density offering localized areas of high strength. If a print it is to be finished by sanding or chemical smoothing increasing shell thickness often necessary as post-processing methods reduce the thickness of the surface of the model. Shells typically consist of a specified number of nozzle diameters. It is always good to design shells to be a multiple of nozzle diameter to prevent voids from being formed. Designing walls that are a multiple of nozzle diameter eliminate spacing in wall features resulting in stronger parts. The image on the left shows the ideal wall thickness when compared to the image on the right where a gap is present in the center of the wall. Most shells are printed with a thickness of 2 nozzle diameters (usually this corresponds to 0.8mm). Like most wooden doors are not solid but have a low density core, FDM prints are typically printed with a low density infill. Most FDM slicer programs will by default print parts with a 18% - 20% infill which is perfectly adequate for the majority of 3D printing applications. This also allows for faster and more affordable prints. 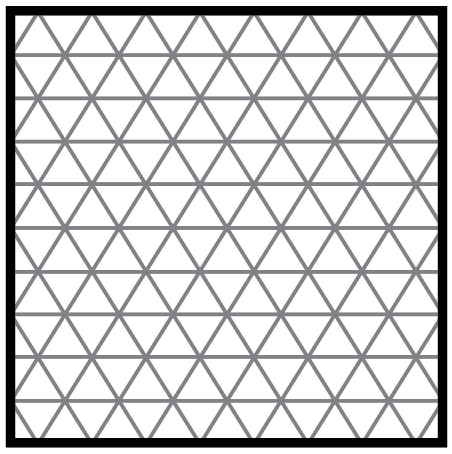 The strength of a design is directly related to infill percentage. A part with 50% infill compared to 25% is typically 25% stronger while a shift from 50% to 75% increases part strength by around 10%. Understanding the application of a final printed part allows a designer to specify the optimal infill percentage. 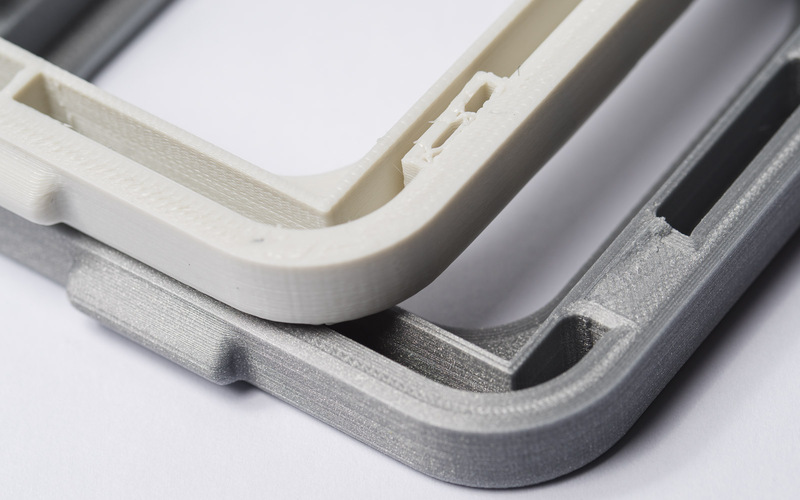 A prototype where form is important can be printed with very low infill saving significantly on cost and time whereas a bracket that will experience loading will need a higher infill percentage. As mentioned above, the standard 20% that most printers use as a default should be acceptable for most application and any deviations from this should be discussed with your 3D printing service provider. Infill also plays a critical role in how extended/protruding features are connected to a model. Snap-fit connections are a good example of this. The base of a snap-fit connection is often a weak point. 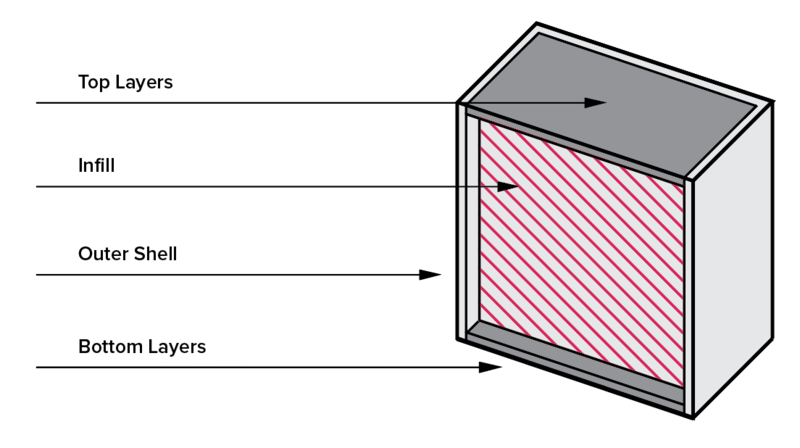 With a low infill density (20%) the cantilever is much more likely to break as the short extruded clip is only connected to the body of print by a small cross-sectional area. 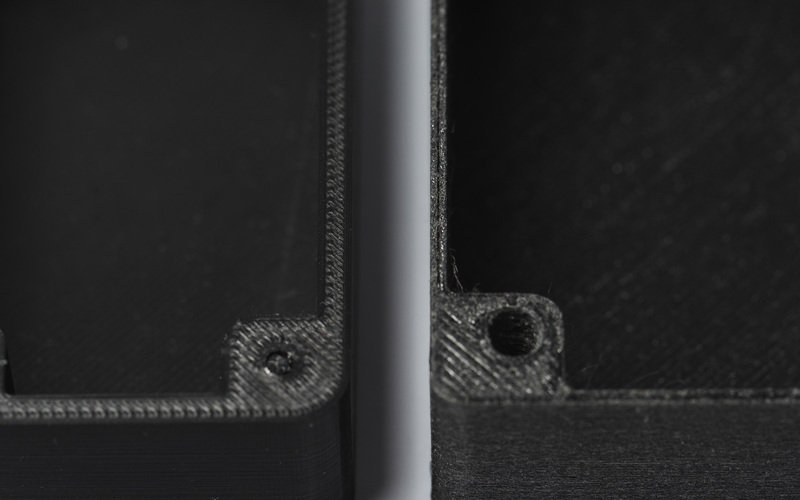 Increasing infill percentage means that more of the body of the print is connected to the cantilever increasing the strength of this connection. Where a 3D printed part is going to be drilled or screwed infill percentage becomes a very important factor. Consider a print with low infill that is going to be drilled and then screwed to another surface. Often the drill holes will go through the top and bottom layers of the print and miss the infill of the model creating a very weak connection. For these applications, a higher infill is desirable (50% minimum). Connections that utilize clearance holes and bolts are better suited to parts with a low infill percentage. The shells, walls, and infill offer good compressive strength providing better anchoring of the part. Rectangular - Standard infill pattern for FDM prints. Has strength in all directions and is reasonably fast to print. Requires the printer to do the least amount of bridging across the infill pattern. 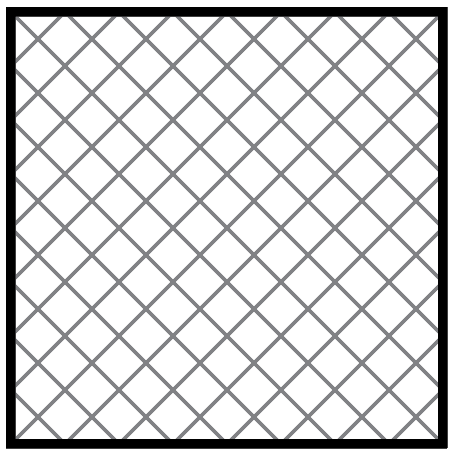 Triangular or diagonal - Used when strength is needed in the direction of the walls. Triangles take a little longer to print. Wiggle - Allows the model to be soft, to twist, or to compress. Can be a good choice particularly with a soft rubbery material or softer nylon. 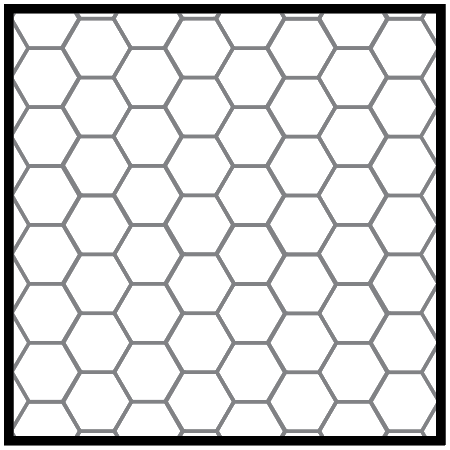 Honeycomb - Popular infill. It is quick to print and is very strong, providing strength in all directions. Understand the application of a part before specifying shell thickness and infill percentage. Increases in shell thickness and infill percentage increase strength but also time to print and print cost. Design shells to be a multiple of nozzle diameter. When screwing into a part increase shell thickness or infill percentage to improve anchoring. If this is not possible, consider using a clearance hole and bolting (with washers). For cheap rapid prints rectangular infill it the best selection due to its quick print speed. 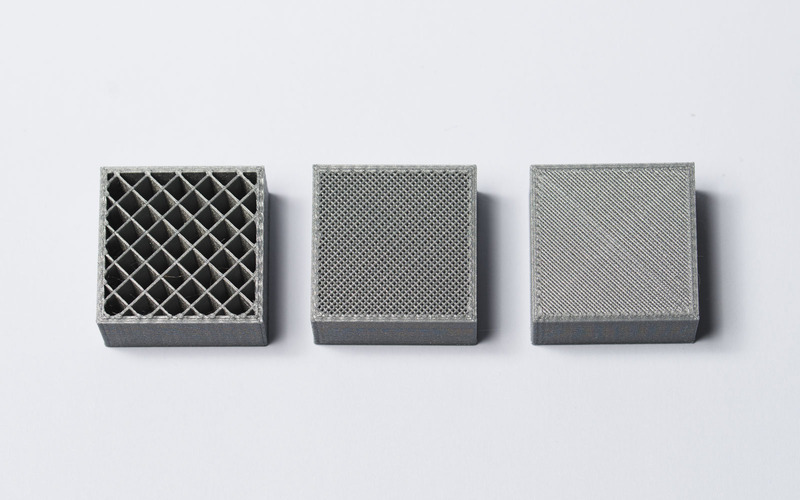 If strength is critical to the function of a 3D printed part honeycomb or triangular infill offer an increase in strength when compared to rectangular infill. Learn how to optimize common design features - such as bridges, overhangs, pins and vertical axis holes - for FDM 3D printing.